Lake living just north of the river. Family room has windows all around for easy viewing of the lake and a great screened in porch. Lots of space for family. Also has a convection oven! Comes with a private dock and a Playcraft Pontoon boat. When walking down by the dock PLEASE walk to the side of the white house across the street. Lake Waukomis is located in Missouri. Lake Waukomis, Missouri 64151 has a population of 475,378. The median household income in Lake Waukomis, Missouri 64151 is $45,376. The median household income for the surrounding county is $68,638 compared to the national median of $53,482. The median age of people living in Lake Waukomis 64151 is 35 years. 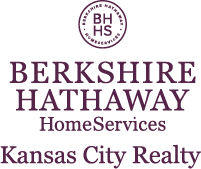 I am interested in 436 NW North Shore Drive, Lake Waukomis, MO 64151.